Or if not that, then the bound of Lacedaemon must mourn a dead king, from Heracles‘ line. To state it simply, it’s either your city is laid to waste or your king must die. Though some scholars argue that the Delphic pronouncement was given after the Battle at Thermopylae it is hard to imagine going against a force 200,000 strong without thinking of a brush with death. 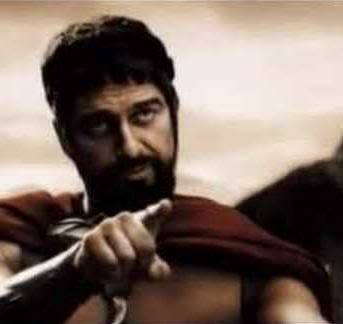 It is believed that, unlike Gerard Butler’s representation, Leonidas was around fifty years of age when the Persians threatened to invade. Xerxes, then, was only thirty-nine. Perhaps, at that age, Leonidas was already looking forward to graying the same way his father had and enjoying his grandkids. I’m 50. And you? How old are you? His life may end, but the city will live on and will continue to produce heroes. Previous Post Making your own simple soft serve ICE CREAM. Next Post Of mice and men.